† Date issued, where not 1910. 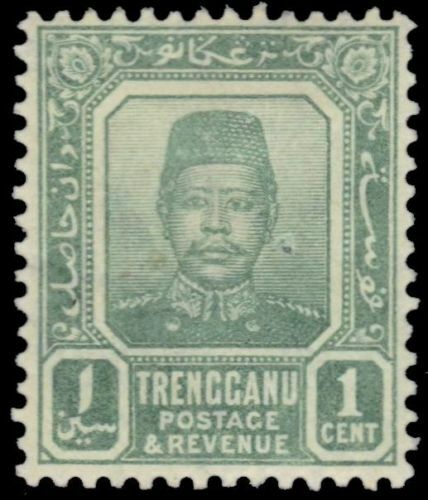 Trengganu is on the eastern coast of the Malay peninsulsar. 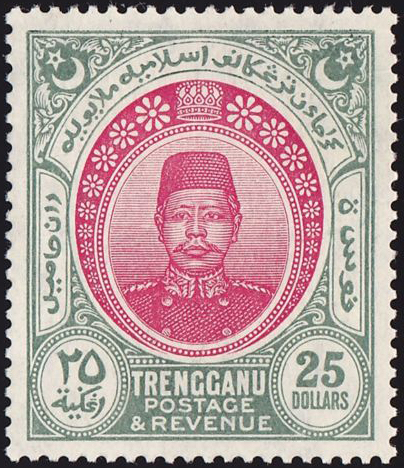 Control was passed from Thailand to GB in 1909 and a British advisor appointed in 1919. 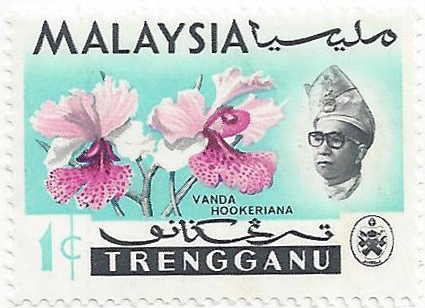 Trengganu joined the Federation of Malaya in February 1948 and became part of Malaysia in 1963. 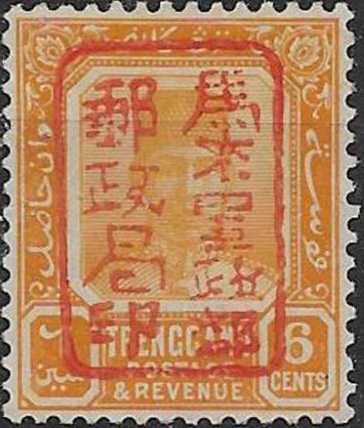 Overprints were used during the Japanese occupation of WW2. ScN21 is shown: of the first set, Sc-N1-N17C are black or brown handstamps; Sc-N18-29A are in red.